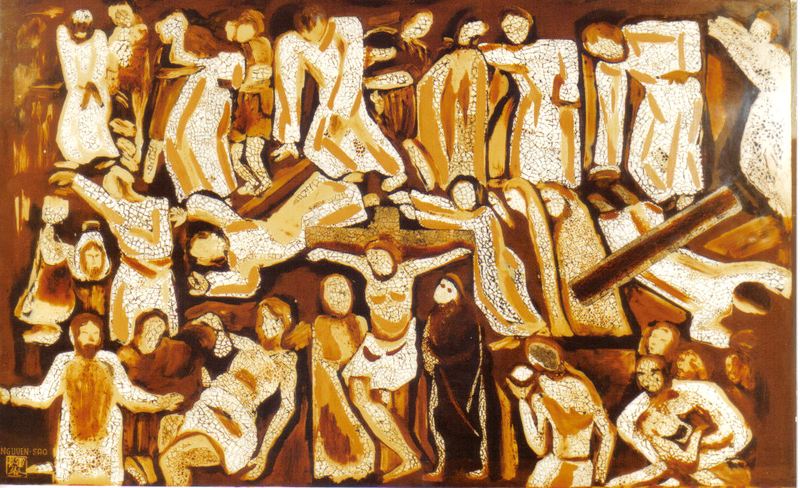 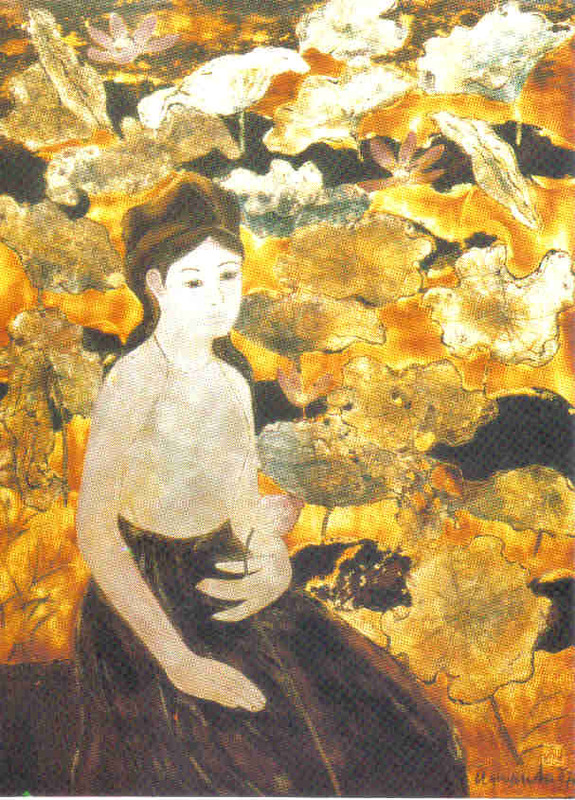 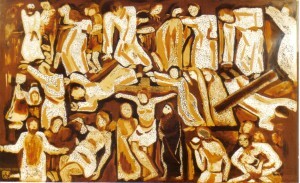 In the 1960s, NGUYỄN Sao turned towards the traditional art of lacquer, to reach between 1960-1970 the summit of his artistic creation as a Master in lacquer painting. NGUYỄN Sao’s lacquer paintings look very much like his paintings : he actually uses a very personal technique where tints are finely produced, even in the parts carved with egg shells. Thanks to the choice of shells, in burning and in crushing them to obtain a fine powder mixed with lacquer, he suceeds in obtaining a palette nearly as rich as the oil painting one. While placing bits of shells on lacquer, spreading over them one or two layers of transparent lacquer and stopping pouncing at the right moment, he realizes this very particular relief effect with an extraordinary display of colours. 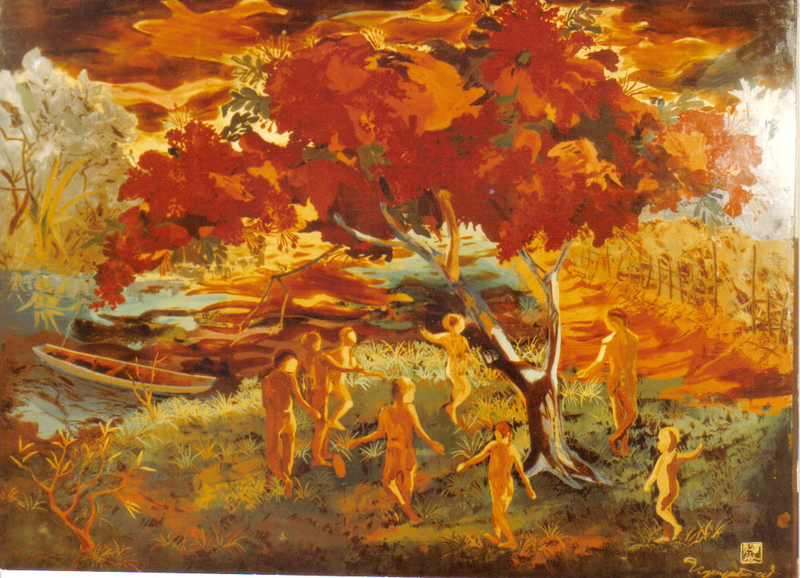 He also made many researches to mix lacquer with the so-called “immortal” colours, so as to obtain intermediary colours, more subtle and fresher tints than those of the traditional lacquer paintings. 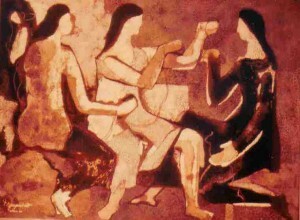 He thus created a rich variety of grey-pink, grey-blue and grey-green. With these mixtures and tones really new in this field, he gave to his panels of lacquer numerous colours of classic paintings. 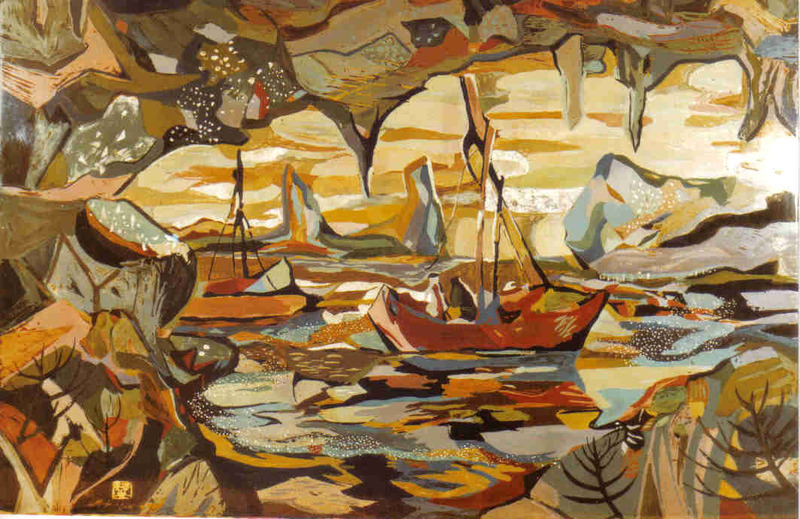 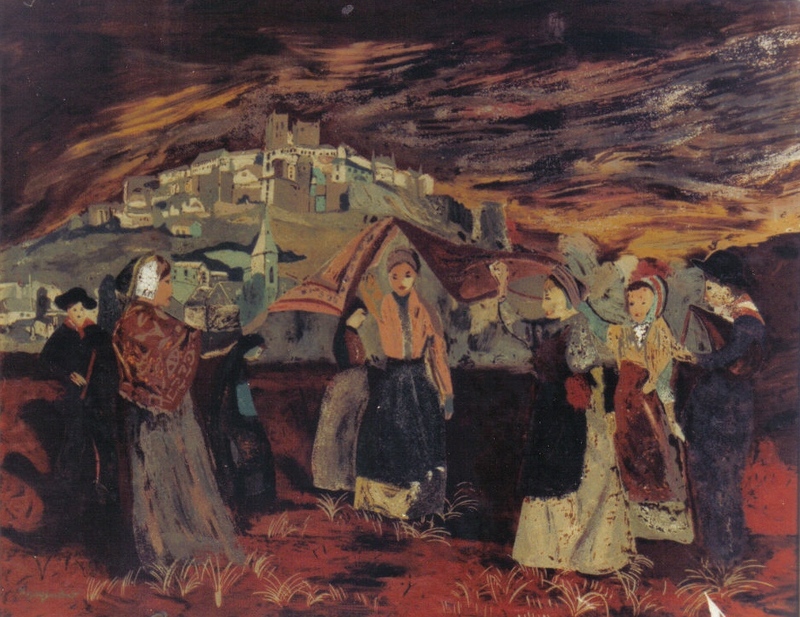 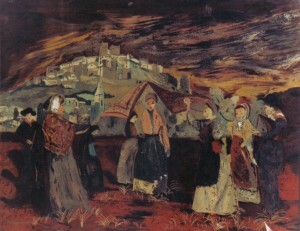 In 1963, a first exhibition in Saïgon showed the result of two years work and patient researches with this medium.